Hi, I'm Gary Pope. Welcome to my profile! Gary Pope is working with Liftech and have experience specializing in elevating work platform hire, sales, service, training & transport. 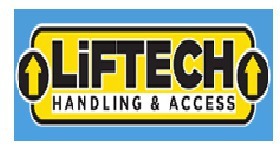 Liftech Handling & Access is offering all type of forklifts and access equipment since 1990 in Australia. We at Liftech Handling and Access provide all our valuable customers wide range of forklift and scissor lifts. Our machines can be powered by either an LPG or diesel engine, or a German brand Hoppecke battery. At Liftech, we pride ourselves on offering machines in Melbourne that represent the ultimate in safety and reliability. Any forklift or scissor lift bought through us is sure to stand the test of time and will be serving your workplace well into the future. We also carry out repair and maintenance of all types of Forklift and Scissor lifts in Melbourne.